Light on calories, but not flavor. 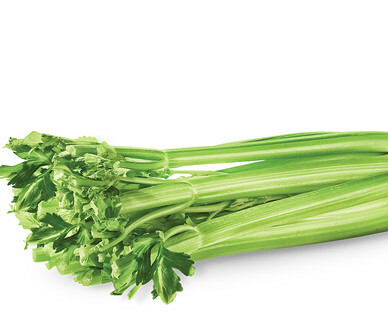 A stalk of celery contains only 8-10 calories. Celery is a good source of fiber, which helps support a healthy digestive system and decreases the risk for heart disease. Be sure to pick celery that’s straight, firm and smells fresh.